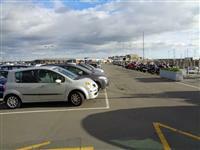 The name of the car park is Albert Pier. 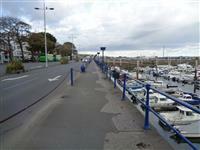 The car park is located off Albert Pier. You are on Albert Pier and South Esplanade. Skip to the next section. From Albert Pier Car Park turn left on to The South Esplanade. 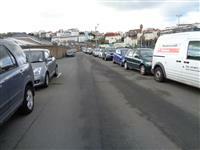 The surface of the path from the car park is tarmac. 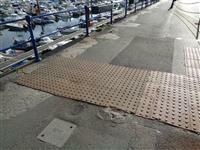 On entering the South Esplanade there is tactile paving at a pelican crossing. 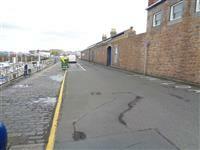 The surface of the pavement on the South Esplanade is tarmac and uneven in places. Carry along South Esplanade and then turn left into Castle Emplacement. You are on Castle Emplacement. Skip to the next section. The surface of the road is tarmac. 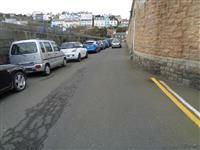 The route along Castle Emplacement is a main road with no pavements. 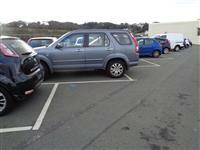 There are cars park either side of the road. Carry along the road till you reach the Castle entrance. Near the Castle entrance there is an accessible toilet, accessible via Radar key, standard toilets and a kiosk for drinks and snacks. 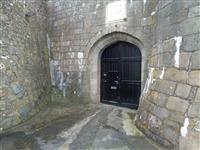 You are on Outside Access (Castle Cornet Entrance). Skip to the next section. This information is for the entrance located to the front of the castle. 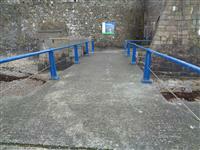 You are on Level Change (Castle Cornet Entrance). Skip to the next section. The surface of the slope is concrete. 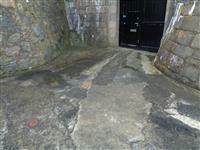 The accessible toilet is located within a toilet block 475m from South Esplanade and about 75m from Castle Cornet main entrance. The dimensions of the accessible toilet are 145cm x 180cm (4ft 9in x 5ft 11in). The toilet roll holder is 106cm (3ft 6in) high. The height of the sink is 77cm (2ft 6in). The female and male toilets are located within a toilet block 475m from South Esplanade and about 75m from Castle Cornet main entrance. 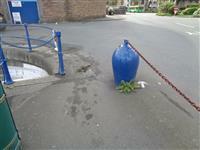 There is a single medium step at the entrance to the male and female standard toilets.